Did you know that Sofia Vergara had thyroid cancer? I had no clue. After surviving thyroid cancer, she was very vigilant about checking her thyroids. When she found out she had hypthyroidism, she jumped right into action. Now, she has been on Synthroid for 10 years and reports no side effects. 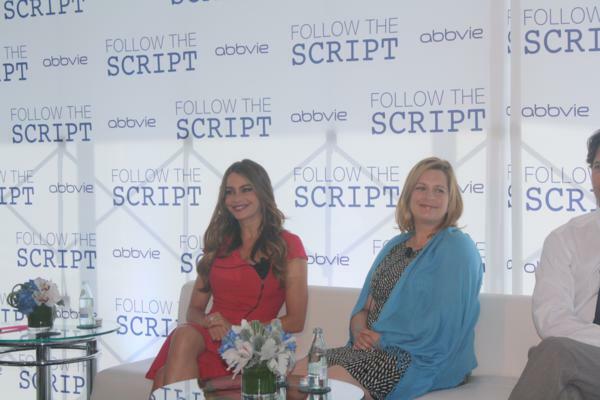 She met with media at the Trump Soho for an intimate luncheon to talk about the launch of the “Follow The Script” Synthroid campaign and how she has been living with Synthroid. SYNTHROID® (levothyroxine sodium tablets, USP) is a prescription synthetic thyroid hormone that is used to treat hypothyroidism. It is intended to replace a hormone that is normally produced by your thyroid gland. Generally, thyroid replacement therapy is taken for life. Some symptoms of hypothyroidism include tiredness, lethargy, depression, hair loss and weight gain. 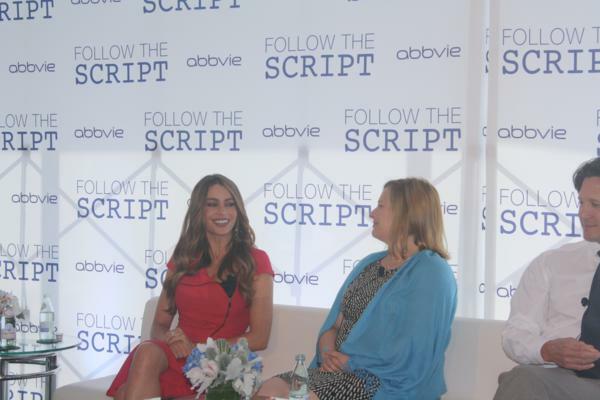 Emmy-nominated actress Sofia Vergara is the face of a new empowerment campaign called Follow The Script, sponsored by AbbVie, to raise awareness about hypothyroidism. Over 30 million Americans suffers from a thyroid condition. Sofia was fortunate enough to be educated on the condition by her doctor, who was present at the event. Many women, she said, learn that they have the condition and either don’t take it seriously or are intimidated by the testing process. “It’s just one blood test,” Sofia stressed, “You can walk into your doctor’s office, ask for it and have the results the next day.” This campaign is meant to encourage people to take an active role in their condition. Patients can share their stories online, get information and find out some questions to ask their doctor to be more informed. The campaign aims to educate individuals with hypothyroidism about the importance of diagnosis, treatment and consistently receiving the medication prescribed by a doctor. Sofia noted that she takes her medication first thing in the morning, without brushing her teeth. She then waits half an hour before eating. It should be noted that Synthroid is only prescribed by a doctor. It cannot be used as a weight-loss mechanism. 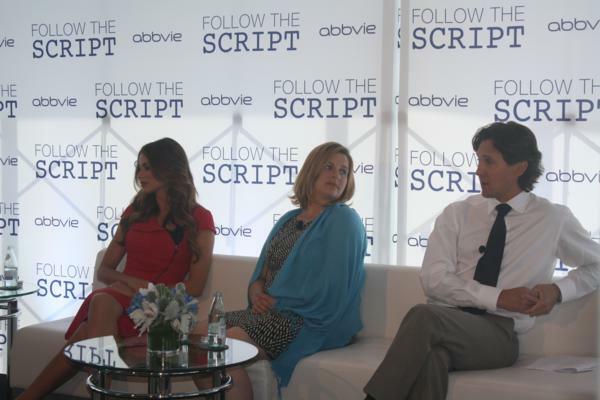 To learn more about Synthroid and the Follow The Script campaign, go to www.followthescriptcampaign.com. I have been exploring on-line higher than Three hours right now, but I never discovered any kind of exciting document including your own property. It truly is wonderful value plenty of in my opinion. Personally, if perhaps almost all webmasters and also blog writers designed just right content material just like you did, the internet might be much more handy than any other time. I prefer this helpful tips anyone deliver to the reports. I will take a note of your blog as well as analyze once more right here typically. I’m just marginally a number of I’m going to practice a number of fresh information the following! Enjoy for an additional!